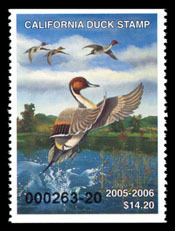 The 1980 Illinois duck stamp was issued incorrectly identifying the duck as a green-winged teal. 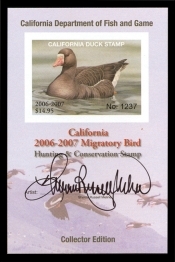 The correct species is wigeon. 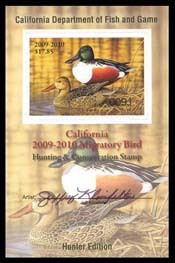 A total of 1,774 serially numbered stamps were sold before the error was detected by a collector at a Chicago area stamp show. 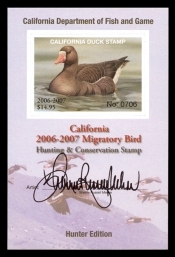 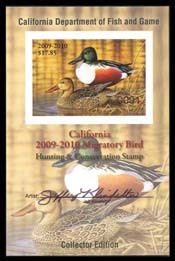 Of the total error stamps sold, 1,500 were sold to Ducks Unlimited who auctioned the stamps to raise funds. 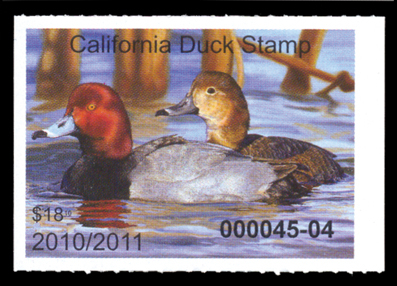 Only 274 stamps were sold to the general public before the error was detected.